This research seeks to evaluate the impact of climate change (CC) on the thermal performance of buildings. In particular, it is focused on historical residential buildings located in Asunción, Paraguay, a city characterised by a humid subtropical climate. 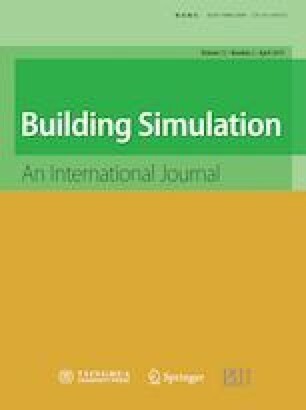 Energy dynamic simulations of a representative building in its original state and an energy efficient version were assessed to evaluate the effectiveness of common energy retrofit measures under future climate conditions. Low and high Representative Concentration Pathways climate scenarios for 2030, 2050 and 2070 are employed with a CORDEX climate model and compared with observed weather data of 2009. Two thermal comfort assessment methods are considered, the statistic and the adaptive thermal comfort approach, where operative temperatures and overheating and underheating rates are analysed. As expected, the results show that the projected temperature rise will lead to an increment of discomfort rates, but it could be mitigated by energy refurbishment measures. Thus, CC effects on thermal performance of buildings are relevant and must be considered for the development of adaptation strategies able to manage this phenomenon. At present, Paraguay does not have any energy building codes and, instead, the results of this paper underline their needs with a substantial impact on society and building industry of Paraguay since it demonstrates that the creation of energy buildings codes is highly necessary to face CC impact on buildings. The authors would like to thank Professor Alfredo Rocha, Carolina Viceto and Susana Pereira of the Department of Physics of the University of Aveiro (UA) for their advice and assistance in the generation of the climatic dataset from CORDEX. Moreover, we would like to thank Mr Francisco Rivarola and Ms Lourdes Aveiro of the Directorate of meteorology and hydrology of the National Paraguay’s Directorate of Civil Aeronautics (DINAC, by their Spanish initials), for providing us with the observed data from the weather station of Asunción. This project has been funded with support of the European Commission. This publication/communication reflects the view only of the author, and the Commission cannot be held responsible for any use which may be made of the information contained therein - ELARCH program (Project Reference number: 552129-EM-1-2014-1-IT-ERA MUNDUS-EMA21). CORDEX (n.d.). Earth System Grid Federation (ESGF). Coordinated Regional Climate Downscaling Experiment. Available at https://esg-dn1.nsc.liu.se/search/cordex. Accessed 25 Apr 2018. Department of Energy U.S. (n.d.). EnergyPlus. Available at https://energyplus.net. Accessed 6 Aug 2018. DesignBuilder Software (2018). DesignBuilder Software Ltd. Available at https://www.designbuilder.co.uk. NOAA (2017). State of the Climate: Global Climate Report for Annual 2015. National Oceanic and Atmospheric Administration. Available at https://www.ncdc.noaa.gov/sotc/global/201513. Accessed 8 Nov 2017.